Good morning, friends!! Today, I am so excited to share with you a shop that is based here in Columbus, The Jones Market! I have admired this shop’s aesthetic and cheery posts over on Instagram for years. Her pieces are designed with mamas and babies in mind, but are truly beautiful pieces for anyone! Candis, founder and owner, spent years researching and designing the perfect pieces to allow babies to tug and bite away while still maintaining the look of the piece. She began by designing for her friends and word of mouth in 2011 and quickly realized how many mamas wanted something that was not only stylish, but also functional. When this beauty arrived, I could hardly get it out of the package before E had it in her mouth. The bright color immediately caught her eye and she had to have it. Normally, when I am wearing a necklace I have to fight it away from her because she always wants to put it in her mouth, but this non-toxic gem is perfect for her constant teething needs! It also kept her occupied so that I could carry her in my Solly which has become a struggle with this on the go baby. And you can adjust the length, so I lengthened it to distract my little wiggle worm during diaper changes and feedings. Small miracles, people. Let me know what you snag–I am positive you will love it! *I was sent this necklace to review, but all opinions, as always, are my own. Good morning!! Today, I wanted to share a little Columbus gem. Over the weekend, Matt and I headed to The Columbus Flea. It was so fun! It was held at Seventh Son Brewery –which is known for it’s amazing craft brews and food truck scene. In addition to amazing food and drinks, The Columbus Flea had stalls set up both outside and inside the brewery. Before we got there, I warned Matt that I would be on the hunt for one stall in particular. Jolie of Brim Papery is an amazing artist and I could not wait to meet her in person. Her tent was seriously amazing. I scored this and this, but seriously had to restrain myself from buying every single thing. Seriously, check her out! 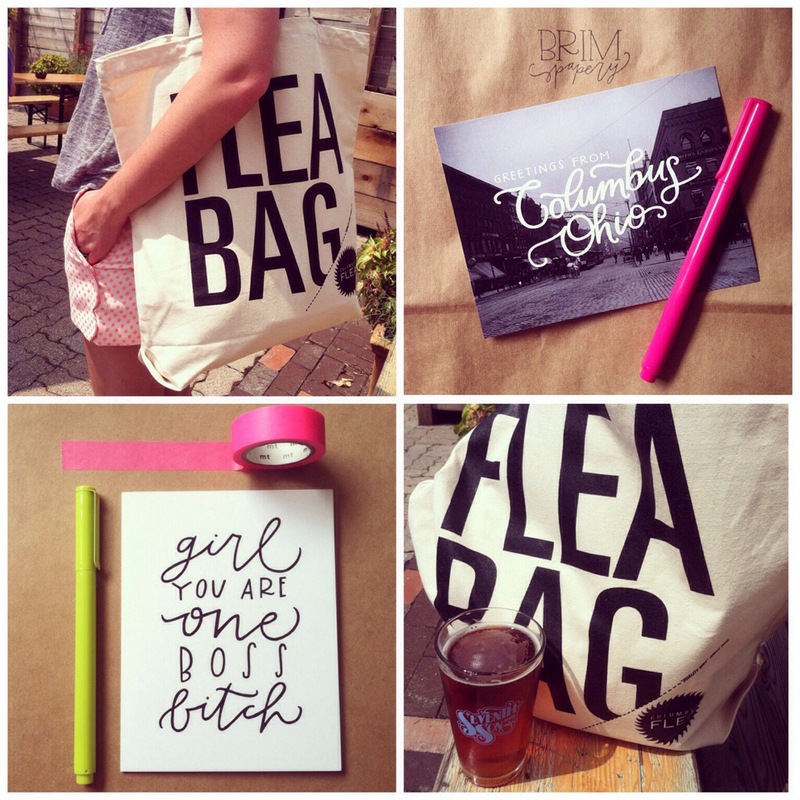 And if you are in the Columbus area, check out The Columbus Flea Blog for dates on the next flea!